What should we, as visitors, do to know about a city better? Well, how about doing a city tour? And even better, how about doing a walking city tour! 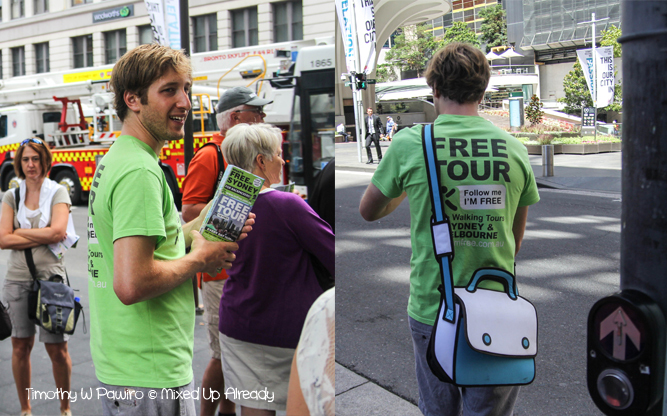 So we browsed online, and found this walking tour called I’m Free Walking Tour. 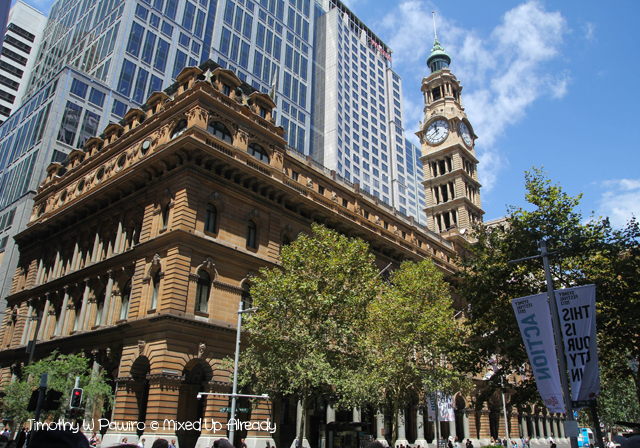 How long is the Sydney walking tour? 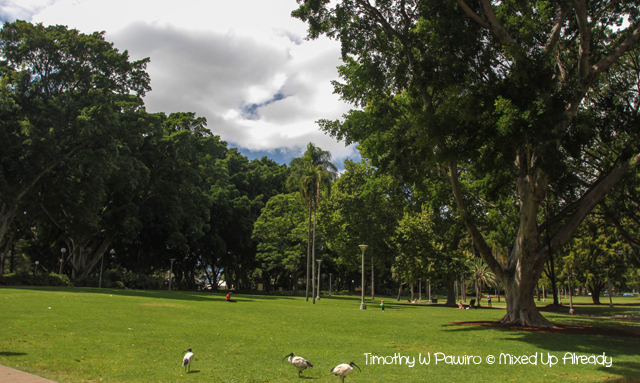 Well, brace yourself … It’s a 3-hour walking tour (with 15 minutes break in the middle)! But, we didn’t feel tired at all, well perhaps we were too excited at that time haha! 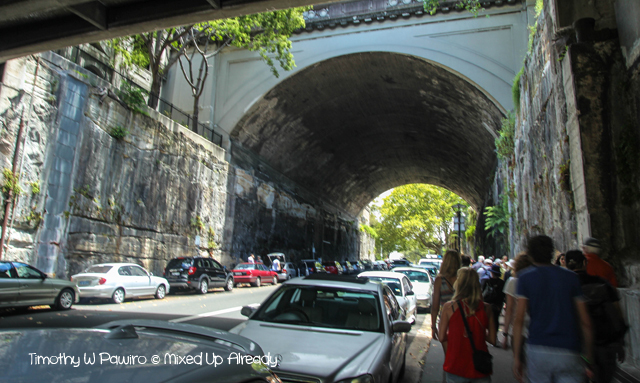 This Sydney walking tour is different with other walking tour, as this one is freeeee!! But of course we gave a tip at the end of the tour. Although this walking tour is free, doesn’t mean it’s not good. In fact, it’s a great tour! Ross the tour guide is very friendly and knowledgeable about his city! His? Yes! He has lived in Sydney many many years that mean more than us! Lol! Ross also explained many things during the stops, where mostly is about the history. 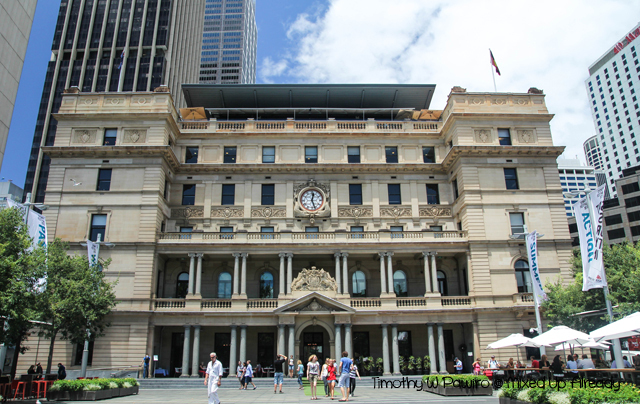 The starting point is always at the Town Hall, near the construction of the Town Hall, and the tour ended in Sydney Harbour. This is the starting point for the I’m Free walking tour. 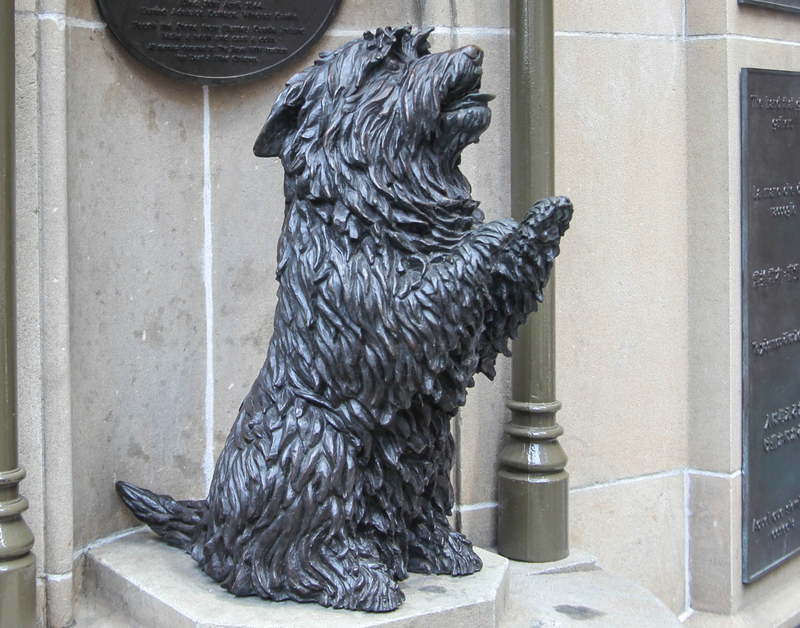 In front of the Queen Victoria Building, there’s a statue of Queen Victoria and also the statue of Queen’s favourite dog ‘Islay’. The statue of Islay is actually served as a wishing well, where all the coins that are collected will be donated. 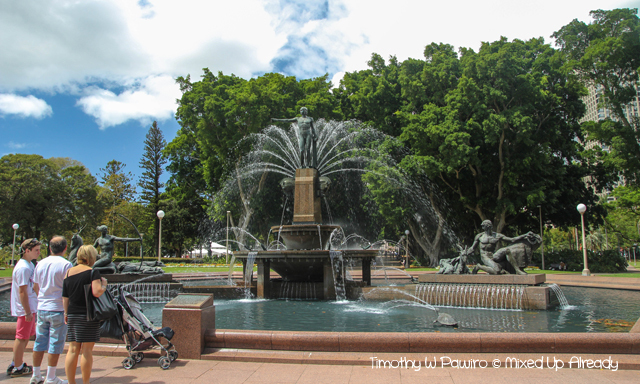 The Hyde Park in Sydney is located in Elizabeth Street. 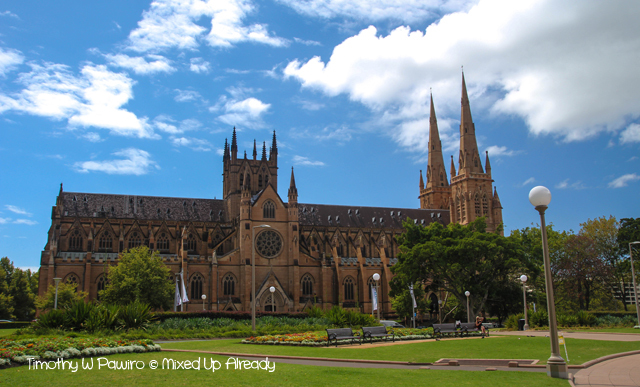 Inside the complex, can be found a fountain called Archibald Fountain and also St. Mary’s cathedral. 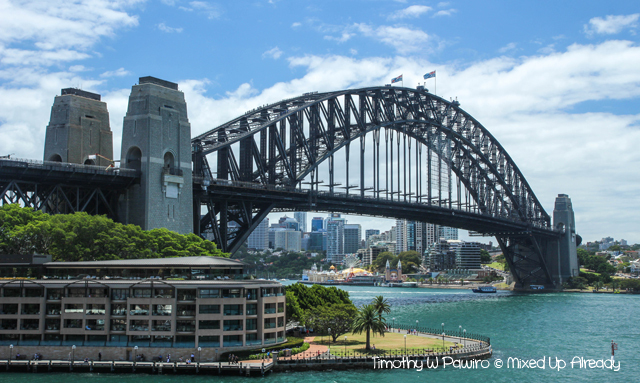 Also known as ‘The Golden Bucket’, is a good place to get a panoramic view of Sydney! 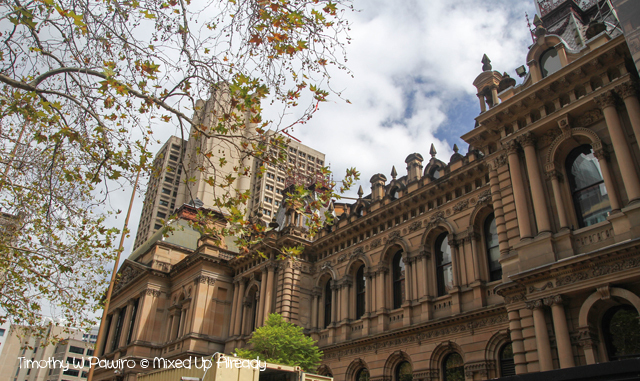 General Post Office or GPO Sydney is located at Martin Place, the pathway between George Street and Pitt Street was used as a setting for Matrix and Superman Returns! I can’t believe I didn’t take picture of this pathway! Lol. 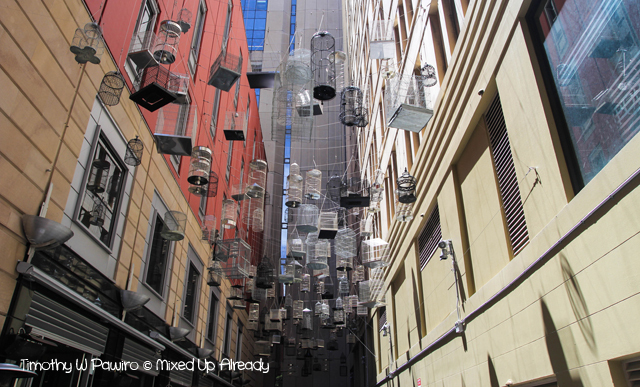 If you passed Angel place, you will see plenty of birdcages, but actually there are no birds inside. They use this as a decoration and add bird noise from 50 different bird species! 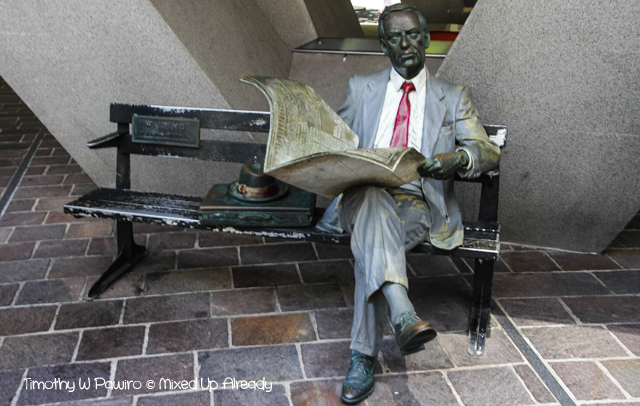 The man with the newspaper sculpture (who is waiting for something/someone) sits in the Australia Square in George Street. This sculpture is made by John Seward Johnson II. 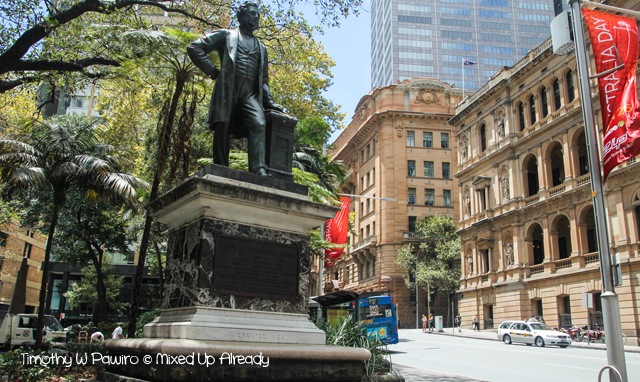 This statue is located in Macquarie Place, where near this statue there’s a single cannon. This cannon was actually as a defense weapon in the past. 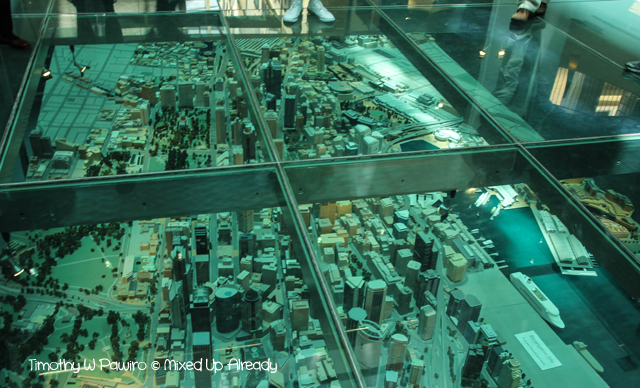 Located in Alfred Street (in front of Circular Quay), this library has a miniature (maket) of the city of Sydney inside the building. 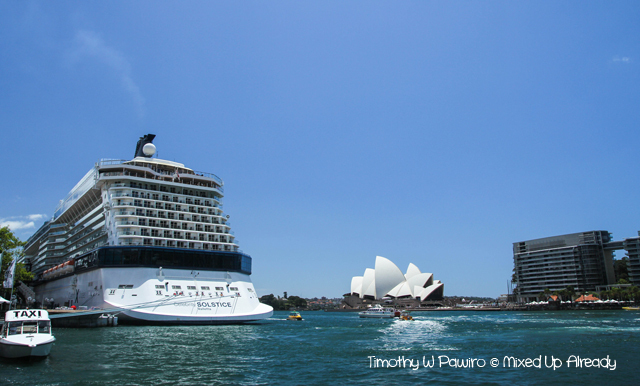 Well of course the tour would pass this Sydney Harbour with the view of Sydney Opera House haha! From The Rocks area to the Argyle Street, we passed a very large tunnel. This tunnel was actually a hill, and to make this big hole to become a tunnel, they sent many convicts to dig the hole! They realized they need something better to make the hole faster, so they used a large explosive! 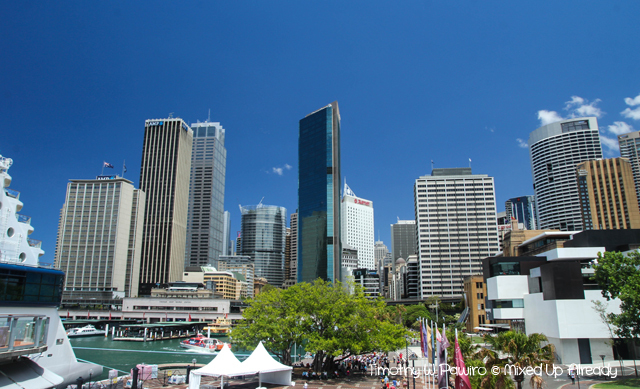 Sydney Harbour view with many office buildings! 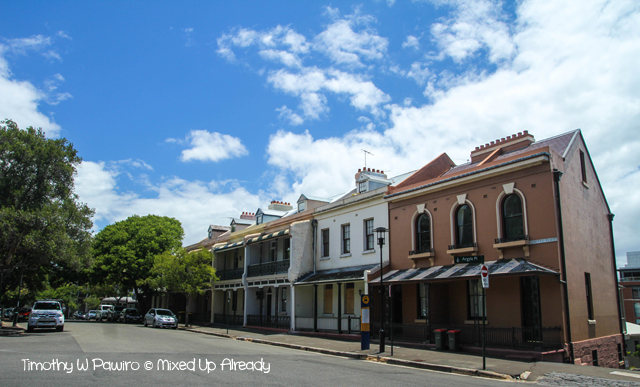 Many insights and knowledge that I got from this Sydney walking tour, and the info that are given here, are actually very limited. 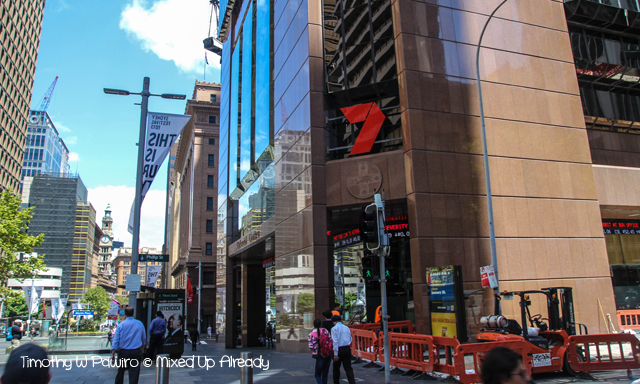 So I recommended this walking tour when you’re in Sydney. 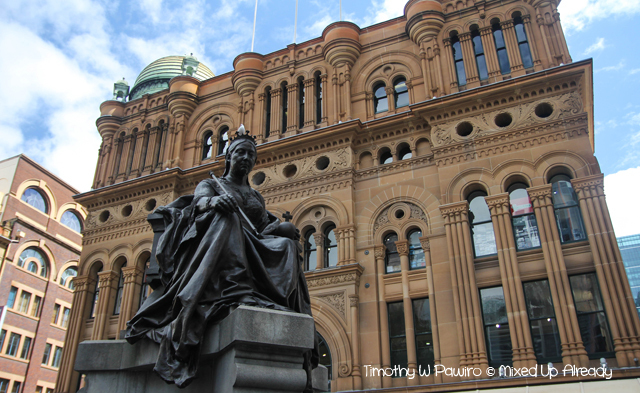 To get more info about this Sydney walking tour, please visit the I’m Free Walking Tour. Foto-fotonya bagus-bagus. Saya tertarik yang judulnya “he Forgotten Songs in Angel Place, Sydney”, itu kandang burung di gang, ada isinya atau hiasan saja? :D.
6 hours is long! Haha, but I bet u didn’t feel tired at all that time, right , especially I think the weather was cool? I actually prefer walking than biking. I did biking in bali before, and need to pay attention to the traffic and so on. It seemed that I needed to speed up as someone was behind me haha! I love walking tours. Sekarang makin menjamur orgaziner seperti ini di kota2 besar dan sejauh ini, this is my kinda fave tour. Yeah me too, love walking tour! Jadi kita bisa take a moment to enjoy the object and take photos haha! 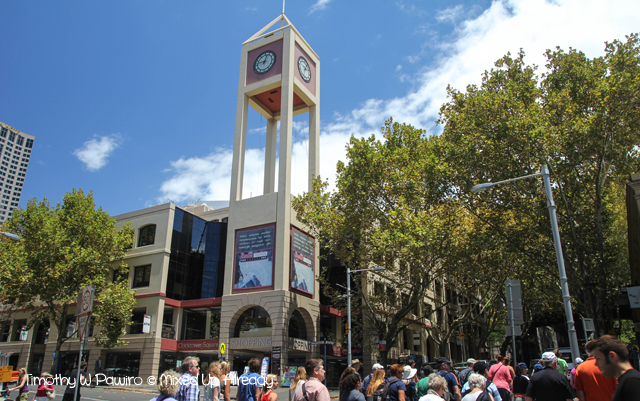 Its nice to know that there is a free walking tour in sydney. We didnt know that when we went there before. 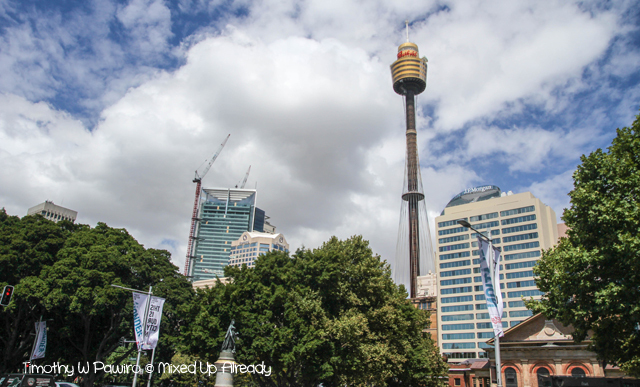 Hopefully, we can visit Sydney before end of the year and will try this walking tour! Thanks for sharing!